Constructed for long-lasting use and treated to repel water. 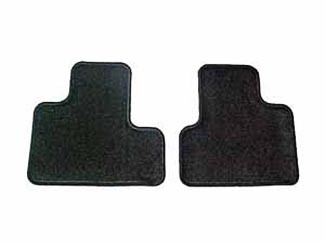 GM Accessories carpet mats protect the floor of your vehicle while adding an extra flair to your interior. A lined, molded, non-slip rubber backing holds the mats in place. (Available in Pewter or Oak).